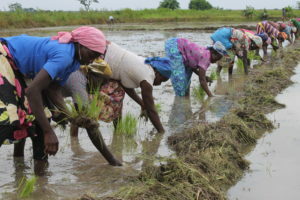 The Savanna Agricultural Research Institute of the Council for Scientific and Industrial Research (CSIR – SARI) has launched a project to improve productivity, livelihoods, nutrition and household well-being of farmers in the northern parts of the country whiles counteracting environmental degradation. The three-year project being implemented in the Northern, Upper East, and Upper West Regions will support the capacity of local stakeholders to transform their farming systems towards sustainable intensification and climate-smart agricultural practices. It is entitled Participatory Pathways to Sustainable Intensification: Innovation Platforms to Integrate Leguminous Crops and Inoculants into Small-Scale Agriculture and Local Value Chains (PASUSI) in Ghana and Uganda. It is being implemented by a consortium of institutions namely CSIR – SARI, University of Helsinki, Finland, Norwegian University of Life Sciences, Norway and Makerere University, Uganda with funding from the European Union-African Union. 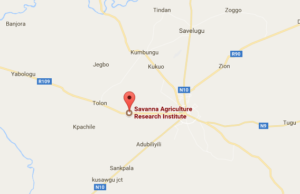 Dr. Stephen Nutsugah, Director of CSIR – SARI, who launched the project at Nyankpala, in the Tolon District of the Northern Region on Wednesday, said it would help improve cropping systems with leguminous crops including cowpea, soybean, and groundnut. He said the project would also develop the capacity of local scientific and technical staff in the isolation, characterization, testing, and preservation of rhizobium strains. Some of the expected outcomes of the project include high-quality biofertilizer production and use, increased grain legume productivity, reduced farm input costs and better economic outcomes for farmers, and enhanced soil health through the use of locally-produced biofertilizers. 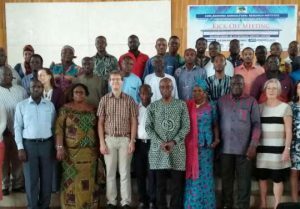 Reverend Dr. Benjamin Ahiabor, Principal Research Scientist at CSIR – SARI, and Principal Investigator under the PASUSI Project, said the project would work to improve farming systems of cereals whiles improving the livelihoods of farmers. Professor John Sumelius, who is from the University of Helsinki, and Consortium Coordinator of the PASUSI Project, said the project implementers were committed to working to enhance soil fertility to increase crop production in the northern parts of the country.